New Years Resolution – Better Nutrition? More Fitness? Perfect Healing? Catherine Carrigan will tell you she has answer to all three of those questions. The new year is approaching and people will begin thinking about New Years Resolutions. If you are thinking about leading a healthier lifestyle then check out both websites from this Author and Intuitive Healer, Catherine Carrigan. 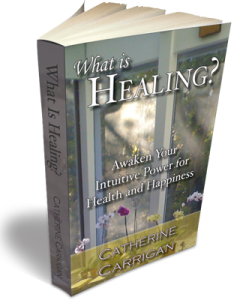 Catherine has released her second book called “What is Healing?” It has become an Amazon Best Seller in Two separate categories. The book is a guide to help us all find our own intuitive healing power that exists within. We have a great power to heal what ails us, and Catherine shows us the little signs to look for so we can begin our own path of a healthy living. The book is available in Paperback, eBook, and Audiobook. Call her for a FREE Consultation 678-612-8816. It could be the best phone call you ever made.